Surabaya City and Malang City Tour 4 Days is the combination city tour to explore the environment around Surabaya City and Malang City. This tour package has lower price than Mt Bromo Sunrise tour because You only explore various beauty of Surabaya and Malang City for traditional food in Surabaya, traditional food in Malang, historical places, heritage, art, souvenirs, religion and some interested nature places. We will indulge and recognize You to know about some interested places in Surabaya City tour and Malang Batu City, Below is the itinerary. Pick you up at Hotel or Surabaya Airport then visit the submarine monument (the submarine was build in 1952) and bought from Russia. The boat was used during 'the fight' of Irian Jaya's independence from The Netherlands. Now is commemorates Indonesias's heroes. Besides you will also visit the Heroes Monument and the Museum of Struggle, where you will get to know more about Surabaya's contemporary history. Next is the statue 'Suro and Boyo', Surabaya's city symbol. It is built on the banks of the river Mas in the hearth of Surabaya. Then a visit to the House of Sampoerna is quite refreshing and something else; a cigarette museum. The museum is managed PT. HM. Sampoerna, one the biggest manufacturers in Indonesia before taken over by Philip Morris International. Last, you can visit the Suramadu Bridge that connects Java with Madura. It is the longest bridge in Indonesia with almost 5.5 km. The bridge looks beautiful in the evening. Finish Surabaya City tour, Continue to your Hotel in Surabaya for 1 hour and Stay 1 night. Wake You up to take shower, have breakfast, realx enoughly then start visit Pasar Tury (the main market in Surabaya, You can find some traditional Batik, Souvenirs and many more), Finish from Pasar Tury, Continue to PGS (pusat grosir Surabaya), In this market also available complete merchandise like clothes and other necessaries, then continue to Souvenir Centre at Mirota (Batik, Restaurant and Souvenirs). Finish enjoy shopping tour in Surabaya, Continue to your Hotel in Batu Malang City for 4 hours, Arrive in your Hotel, Stay 1 night. Visit Transportation Museum (musium of all transportation from all the world), then continue to your hotel to stay 1 night, You will get your hotel at 04.00 – 05.00 PM and stay 1 night. Wake you up to take shower, have breakfast, relax enoughly and preparinf to check Out. Check Out and visit Batu Malang Shopping Centre (in Batu Malang Shopping Centre, You will find varius kind of typical food, clothes and souvenirs. Finish your shopping, return to Surabaya Airport for 4 hours and finish tour. 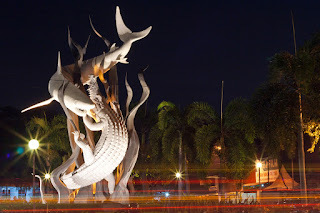 If You are interested to take "Surabaya and Malang City tour", You can choose the arrival in the morning and departure at night, In order We can arrange your itinerary relaxly. Hope you make your booking withing 1 - 2 months before, In order We can completed your facilities. Detail information about Mt Bromo tour price, Surabaya City Tour and Malang City Tour, You can visit Our contact.